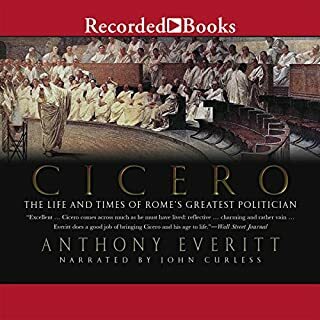 Historian Anthony Everitt earned widespread critical acclaim for his best-selling biography of Cicero. 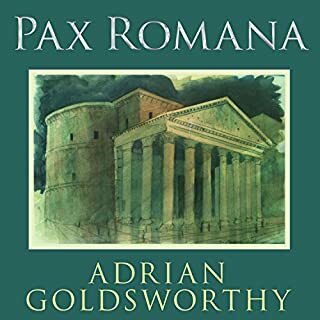 Now, with Augustus, he delivers his second spellbinding account of a Roman icon whose legacy has echoed through the ages. Caesar Augustus has been called history's greatest emperor. It was said he found Rome made of clay and left it made of marble. With a senator for a father and Julius Caesar for a great-uncle, he ascended the ranks of Roman society with breathtaking speed. His courage in battle is still questioned, yet his political savvy was second to none. He had a lifelong rival in Mark Antony and a 51-year companion in his wife, Livia. And his influence extended perhaps further than that of any ruler who has ever lived. 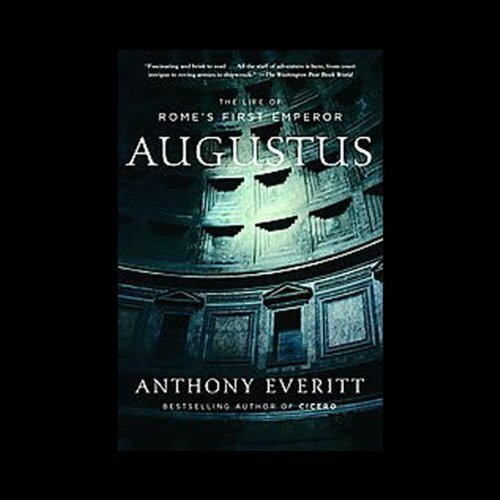 Drawing on the available information, while making a handful of his own groundbreaking assertions, Everitt brings the real Augustus to vivid life in this fascinating narrative. Even though Augustus's life is about as well documented as is possible for figures from ancient times, author Anthony Everitt brings off a tour de force in this reconstruction of Octavian's life. He is always clear about the difference between fact and speculation, but by the end you get a much clearer and more trustworthy picture of Augustus than you get from, say, I, Claudius. John Curless's reading is clear and unobtrusive; the Latin words and names roll smoothly from his tongue, his pacing is perfect, and he has just enough inflection for you to feel that he is also interested in what he's reading. An excellent experience from beginning to end. If you liked HBO's Rome series than you will love this book. The stories time frame pretty much is the same as the 2yr HBO series. Starts with Octavian as a boy and continues as he evolves into Augustus Caeser. The narrator was also fantastic. Letter grade A plus from this listener. 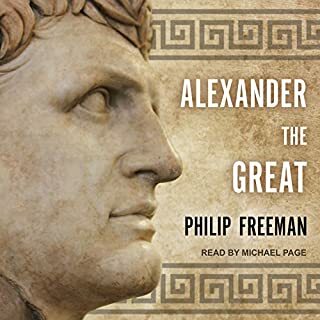 I enjoyed this book, and agree with others who said you'll need to re-listen several times (it's packed with intricate detail) and if you're looking for a page turner in the like of HBO's Rome, well, it ain't so much. Very interesting though, and I too came away with some understanding of Augustus and his role in transforming the Republic into a monarchy. Came to this book after watching the TV show "Rome" and wanting to know more about Augustus. Was enthralled from the opening throughout the entire book. The highest compliment I can give is that immediately after finishing this book, I looked to see if there were any other books written by the Author, Anthony Everitt, or read by the narrator, John Curless. Having been completely captivated by Robert Graves' "I Claudius" when I was young, first as a book and then in the brilliant Masterpiece Theatre series, I'm afraid I was a fairly tough audience for this entirely workmanlike and respectable biography of the pivotal Augustus. It is completely unfair and foolish to compare history with historical fiction--different rules and different objectives. Nonetheless, I could have hoped for a style and approach which were somewhat more evocative of the world in which Augustus operated. Almost all of the context here is political or military which is somewhat disappointing when you are dealing with an era which is so rich in so many other ways. Of course the historian is limited by the available sources, but I think Everitt could have utilized a good deal more of the available material on the social and physical milieu of the times. Nonetheless, I never found my interest flagging. The presentation of the material was coherent and there is more than enough fascinating detail to draw one along. Where the historical record is too scanty to provide definitive answers to key questions, the author speculates, carefully laying out the evidence for alternative theories and making some tentative judgements about the most likely answers in a way which leaves paths open for further speculation. So while this is certainly not a riveting account of Augustus’ life, it is definitely worth your time and credit if you want a solid introduction to the subject. This book is a superb way to learn about the transformation of Rome from a Republic to an Imperial Monarchy. You definitely come away with a good understanding of the strengths and weaknesses of Caesar Augustus. The story is a very interesting one, but this is not written to be a page turner. The narrative portions are interrupted in places for some lengthy sections that set the time and culture. This is a good thing if you want understanding, but if you are looking for a gripping adventure after watching HBO's Rome series, you might get bogged down. Informative,well read, a bit dry if you are not a real history lover. Well worth the listening. For anyone interested in the history of Rome after Julius Ceasar, this is a fascinating book. 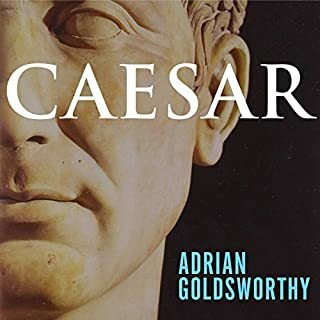 The story of how Octavius became Ceasar Augustus and the conflict between him and Marc Antony make it read as a historical novel, and shows that the truth can be more interesting than fiction. It gives a clear understanding of how the republic gradually became dominated by one man. The narrator is excellent and he brings life to so many characters involved in the action. This is a serious and well researched Biography of a man most of us know as the villain of Shakespeare's Antony and Cleopatra and the old fool in I Claudius. It is eminently clear from Augustus, that he was a born power broker and getter. If he was corrupt it was the kind of corruption we still see in the political arena. The US does not see much in the way of political assasination, but it is certainly a way of life in many countries today just as it was in Rome. This book is very well worth the read. If Augustus did not did not exist, a novelist would have had to invent him. A truly extraordinary life. 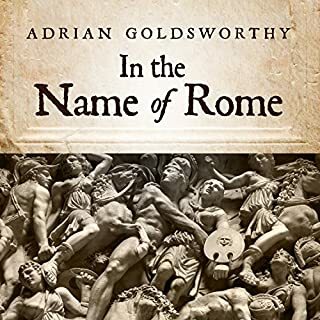 The book is far more detailed on his rise to power than his life as the creator of the Rome the movies have made familiar to generations of fans. 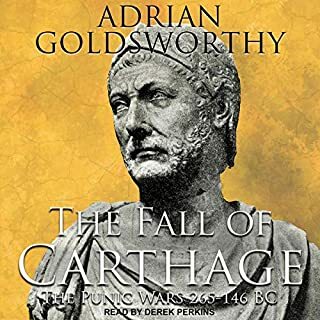 In part that may be a result of the extraordinary power Augustus exerted over the history of Rome once he was the last man standing when Anthony died. All in all, a great adventure!